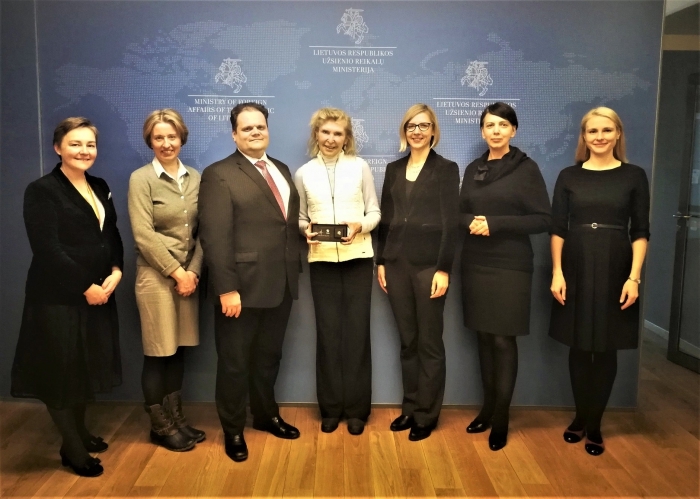 M. Gudynas introduced Global Lithuania department, its work and various initiatives for Lithuanian diaspora to the representatives of the Kazickas Family Foundation. He also shared news about the program offered to children of Lithuanian descent living in Belarus, Poland and Latvia - Christmas day trip to Lithuania, as well as a three day program in Lithuania that is counting its fourth successful year already offered for Lithuanian youth living in Russian speaking countries. M. Gudynas shared work and ideas of similar departments in Israel and Ireland, talked more about a successful and well thought out program in Israel with a goal to "absorb" its many citizens living abroad. During the meeting common goals and work together to benefit Lithuanian diaspora were discussed.